1. Fried bread, a yogurt sauce, and sauce of some sort with a topping of vegetable or meat. 2. Fried bread, a yogurt sauce, rice cooked in a stock and meat topping. 1. Place the Arabic bread in the serving casserole dish. 2. 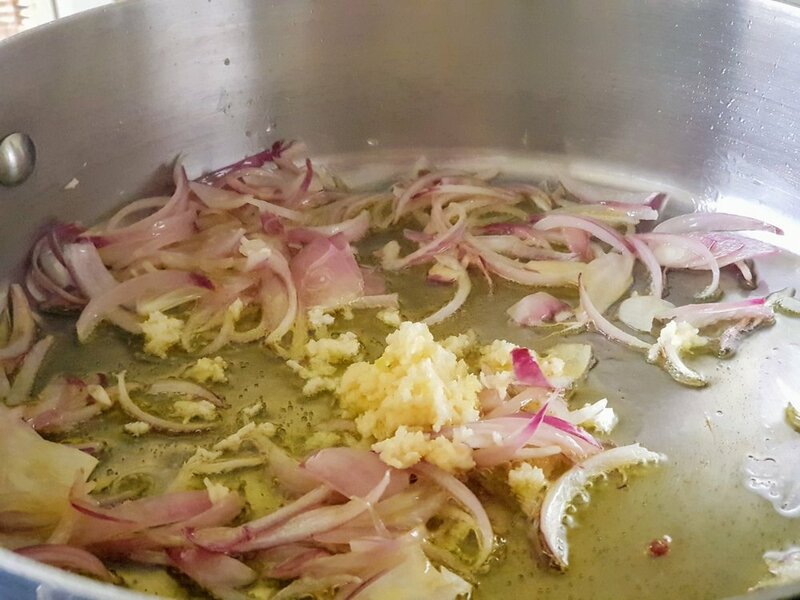 In a pan sauté the onion with a bit of oil until softened then add the minced garlic. 3. Add the stewed tomatoes, tomato paste and tamarind with 1/2 cup of water cover and let it boil for 10 minutes then put on very low heat until the aubergine is ready to be drop in. 4. Peel the aubergine and slice 1/4" thick. 5. Lay in a colander and sprinkle with salt as seen in the picture, repeat until aubergine is finished then let it bleed* for 30 minutes. 6. Pat the aubergine dry with paper towel and lay on the board and spread some kufta meat then roll it as seen in the picture. 7. Secure the roll with a cocktail stick and repeat until the aubergine is finished. 8. Drop the rolls into the tomato sauce and cook covered for 20 minutes or so adjusting the salt until the rolls are cooked and the sauce is reduced as in the picture. 9. Gradually pour the tomato sauce over the fried bread, and give it a good toss, then top the mix with the aubergine rolls. 10. Top with a blanket of the yogurt tahini sauce and decorate with a sprinkle of fried pine nuts and pomegranate seeds. * For a healthier and less calorific option I opted not to fry the aubergines as cutting it thin then *bleeding it makes the slice pliable and easy to work with. * For a vegetarian option you can roll the aubergines with fried onions and red bell peppers. * I recommend using a thick pita bread as it absorbs more liquid. * The bread can be toasted in the oven 180 c for 7 to 10 minutes for a healthier option. Per Serving: 394 Calories; 20g Fat (43.2% calories from fat); 15g Protein; 43g Carbohydrate; 8g Dietary Fiber; 43mg Cholesterol; 1285mg Sodium.